For those disappointed with the lack ladies in the new Star Wars cast, your request has been answers with Lupita Nyong'o and Gwendoline Christie being added to the cast. 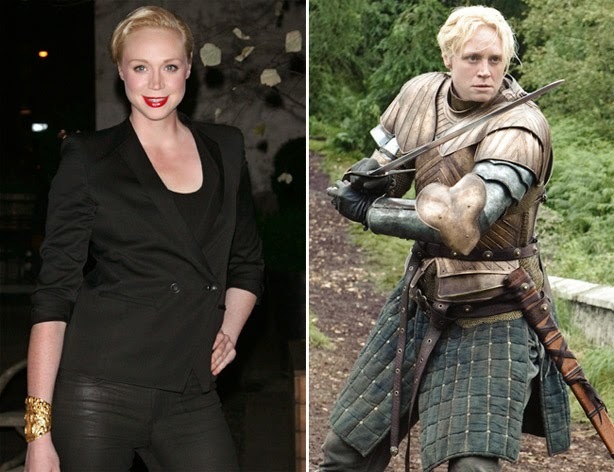 Gwendoline Christie is notable for her role of Brienne of Tarth in Games of Thrones. She will also be playing Commander Lyme in the upcoming Hunger Games: Mockingjay. Having not seen her in any roles myself, I cannot say whether or not she is a good actress. However, from what I have read and what others have said, she should be able to handle an action type role. Maybe she will play a villain of some kind like a Dark Jedi or a bounty hunter. Lupita Nyong'o is another actress that I have yet to see in a role. Considering that she won an Oscar for Twelve Years a Slave, I have no doubt that she can act. She also played a small role in Non-Stop. My initial reaction is that she is a great choice for almost any role, because having an Oscar winning actress in your cast is never a bad thing. Overall, I like both casting choices. Again, this Star Wars movie is not going with top-tier stars or ones that are more looks than talent, which is great. So far, so good with Episode VII. Now, we have a talented cast, practical effects, and an excellent director, but, most importantly, the script needs to be great, and we will not know how good that is going to be until we see the movie. What do you think of these casting choices? Please comment below and let me know.